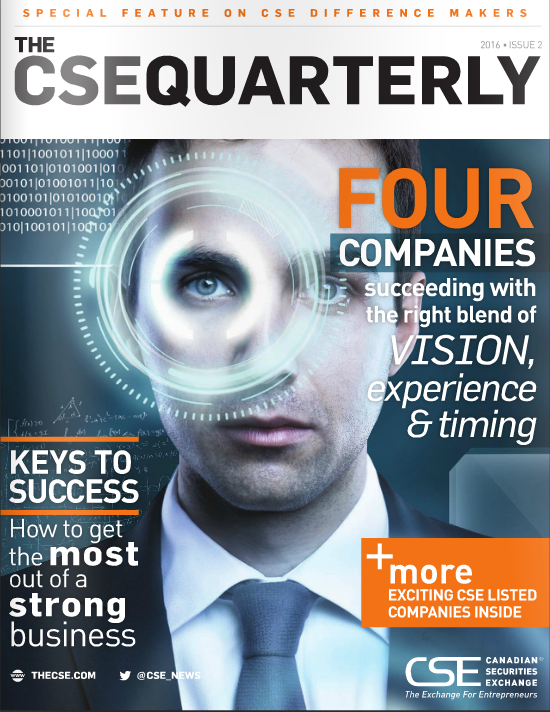 The CSE Quarterly – Issue 9 is Now Live! 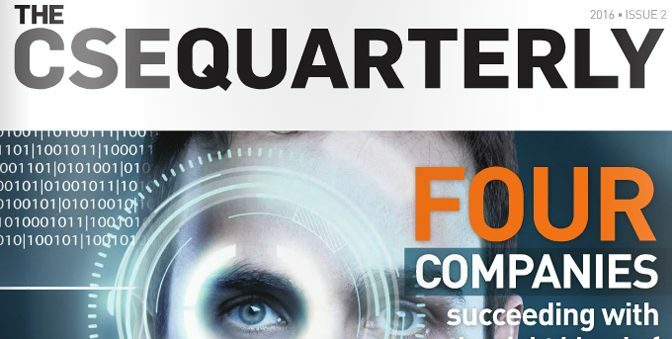 This edition of the CSE Quarterly contains a special feature on four ‘difference makers’ listed on the CSE. Specifically, this issue explores the stories behind these popular CSE-listed companies and the entrepreneurs who are helping them grow. In addition, be sure to read the latest message from the Canadian Securities Exchange CEO, Richard Carleton, for updates on the Exchange for Entrepreneurs. Thanks again to our advertisers Davidson & Company LLP, Global Uptick Publishing and Synergy Management Consulting.